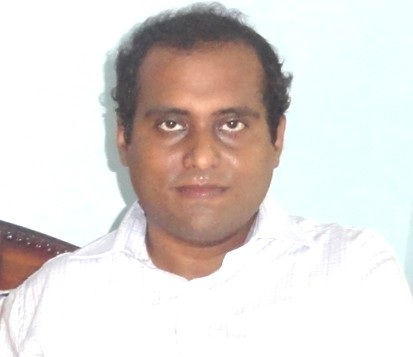 Dr. Ganguly joined the institute in June 2015. Office Address : Room No. 112, New Extension Block, EEE Department, IIT Guwahati, Guwahati-781039, INDIA. S. Ganguly, “Multi-objective planning for reactive power compensation of radial distribution networks with unified power quality conditioner allocation using particle swarm optimization,” IEEE Trans. Power Systems, vol. 29, no. 4, pp. 1801–1810, 2014. S. Ganguly, “Unified power quality conditioner allocation for reactive power compensation of radial distribution networks,” IET Gen., Trans., and Distr., vol. 8, no. 8, pp. 1418–1429, 2014. S. Ganguly, “Impact of unified power quality conditioner allocation on line loading, losses, and voltage stability of radial distribution systems,” IEEE Trans. Power Delivery, vol. 29, no. 4, pp. 1859–1867, 2014. S. Ganguly, N.C. Sahoo, and D. Das, “Recent advances on power distribution system planning: a state-of-the-art survey,” Journal of Energy Systems, Springer, vol. 4, pp. 165–193, 2013. S. Ganguly, N.C. Sahoo, and D. Das, “Multi-objective particle swarm optimization based on fuzzy-pareto-dominance for possibilistic planning of electrical distribution systems incorporating distributed generation,” Fuzzy Sets and Systems, Elsevier, vol. 213, pp. 47–73, 2013. S. Ganguly, N.C. Sahoo, and D. Das, “Multi-objective planning of electrical distribution systems using dynamic programming,” Electrical Power and Energy Systems, Elsevier, vol. 46, pp. 65–78, 2013. N.C. Sahoo, S. Ganguly, and D. Das, “Multi-objective planning of electrical distribution systems incorporating sectionalizing switches and tie-lines using particle swarm optimization,” Swarm and Evolutionary Computation, Elsevier, vol. 3, pp. 15–32, 2012. N.C. Sahoo, S. Ganguly, and D. Das, “Fuzzy-Pareto-dominance driven possibilistic model based planning of electrical distribution systems using multi-objective particle swarm optimization,” Expert Systems with Applications, Elsevier, vol. 39 (1), pp. 881–893, 2012. N.C. Sahoo, S. Ganguly, and D. Das, “Simple heuristics-based selection of local guides for multi-objective PSO with an application to electrical distribution system planning,” Engineering Applications of Artificial Intelligence, Elsevier, vol. 24(4), pp. 567–585, 2011. S. Ganguly, N.C. Sahoo, and D. Das, “Mono- and multi-objective planning of electrical distribution networks using particle swarm optimization,” Applied Soft Computing, Elsevier, vol. 11, pp. 2391–2405, 2011. S. Ganguly, N.C. Sahoo, and D. Das, “A novel multi-objective PSO for electrical distribution system planning incorporating distributed generation,” Journal of Energy Systems, Springer, vol. 1, pp. 291–337, 2010. S. Ganguly, N.C. Sahoo, and D. Das, “Multi-objective expansion planning of electrical distribution networks using comprehensive learning particle swarm optimization,” Applications of Soft Computing, (book series: Advances in Intelligent and Soft Computing vol. 58), Springer-Verlag, pp. 193–202, 2009. Tikader and S. Ganguly, "Energy management at municipal parking deck for charging of Plug-in hybrid electric vehicles," IEEE Students' Conference on Electrical, Electronics and Computer Science (SCEECS), Bhopal, India, 2014. S. Ganguly, N.C. Sahoo, and D. Das, “Multi-objective planning of electrical distribution systems incorporating shunt capacitor banks,” Presented at IEEE International Conference on Energy, Automation and Signal (ICEAS), Bhubaneswar, 2011. S. Ganguly, N.C. Sahoo, and D. Das, “Multi-objective planning of electrical distribution systems using particle swarm optimization,” Proc. of International conference on electric power and energy conversion systems, IEEE, Sharjah, UAE, 2009. S. Ganguly, N.C. Sahoo, and D. Das, “Static planning of electrical distribution systems using particle swarm optimization,” Proc. of National Conference on Advances in Computational Intelligence Applications, Bhubaneswar, 2009.